Changing your website designer or provider shouldn’t be a difficult experience. When InsideOut Consulting came to us, we could see immediately that what they needed was a ‘website rescue’. They needed someone that could take over the technical side, listen to their problems and get them solved, and get the site updated and running smoothly so they could stop worrying about it. To make sure that there was no noticeable interruption of service for their clients, we prepared everything ahead of time and arranged the switchover to happen on Christmas Day. Yes, that meant a very quick lunch and little family time on the day, but the changeover was trouble-free and without inconvenience for any of InsideOut Consulting’s clients. We do whatever we can to help our customers. InsideOut Consulting originally came to BrainVox for a website rescue. Their website needed updated and new features added. Also, as part of their overall rebranding exercise, we changed the website design to suit their new visual identity. BrainVox soon became involved in several more sub-projects. We updated their logo design and created a new icon / favicon. We provided several Word templates for their standard business documents. We created different styles of Powerpoint templates for several presentations. As part of our business support we also created slides to populate these presentations ready for use, sourcing new images and creating new artwork in-house for hundreds of slides. We customised their Xero Accounting software with templates to match their other business documents. We created an online survey that again matched their house style. We installed email signatures with an ‘uneditable’ logo so that it would always be the correct shape and colour. We provided new business cards. When needed in a rush we were happy to help by providing business support – editing documents and providing them ready to use, such as corporate-themed CVs and Project Launch Packs. 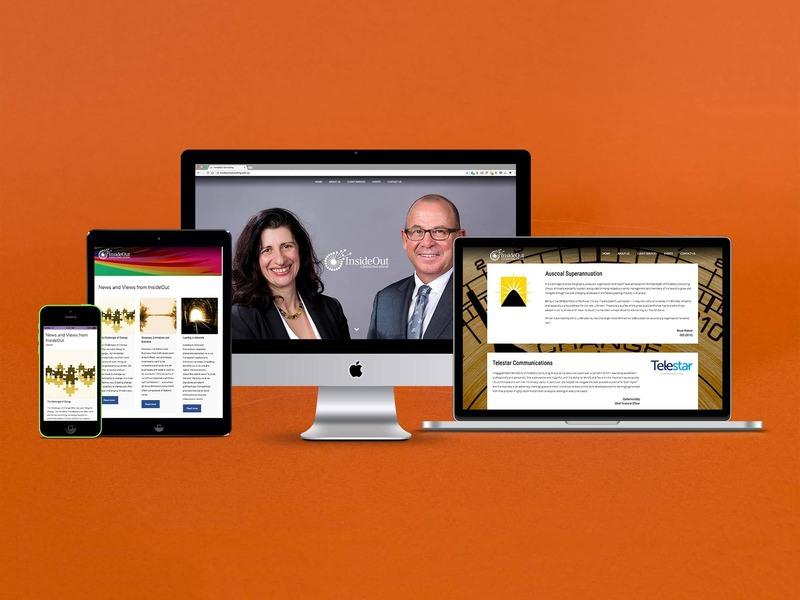 We continue to work with InsideOut Consulting – their website is still evolving, and as they grow and succeed we’ll be there to support them.